After three all-star posse cuts, “Terminally Ill,” “King Kong” & “Piranhas”, Forever M.C. & It’s Different present the forth single from the Forever M.C. 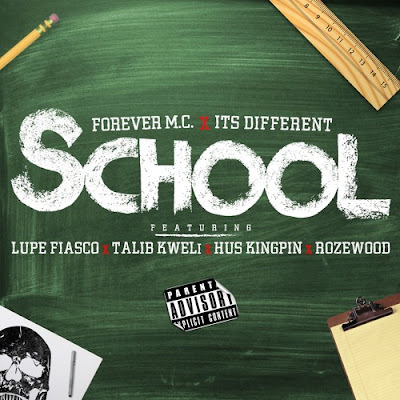 compilation, “School” which features Lupe Fiasco, Talib Kweli, Hus Kingpin & Rozewood.